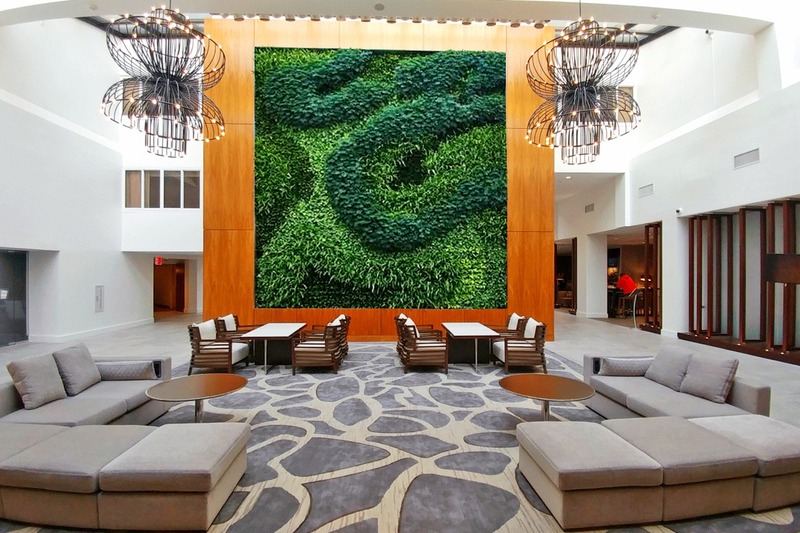 Biophilia is our instinctive human love of nature, and it is behind a growing design movement in workplaces that is making employees healthier and more productive. At a time when the World Health Organization (WHO) has dubbed stress as the "health epidemic of the 21st Century," could surrounding office workers with nature really offer a meaningful path to change? One advocate for biophilic design is Oliver Heath. The Brit has worked on biophilic design for seven years and says it “most certainly” helps companies. “I have been teaching architects all over the EU about the business and the ROI (return on investment) of biophilic design. Research suggests that it is an essential component of supporting healthy people,” he said. His claims are well-supported. 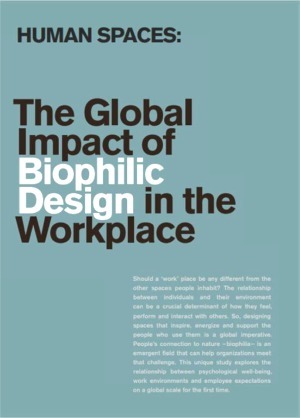 A 2015 report commissioned by the modular flooring company Interface and led by organizational psychologist Professor Sir Cary Cooper, titled “The Global Impact of Biophilic Design in the Workplace” details international research into the benefits of nature in our workspaces. The impact of the work environment is already well established in Robertson Cooper’s ‘6 Essentials’ model – a robust model, validated by research with over 100,000 employees – that shows the key aspects of working life that affect workplace well-being and employee engagement. 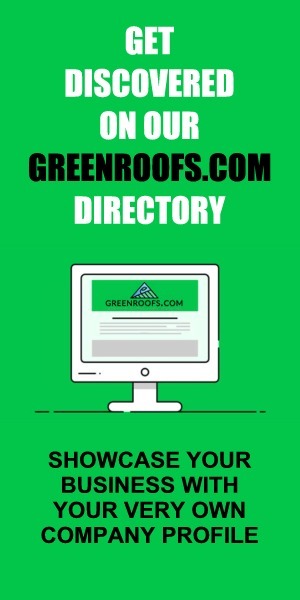 It is designed to guide the process of making well-being work for an organization. Among the ‘Essentials’ is ‘job conditions’ – this concerns how our work environment makes us feel. Job conditions are defined as those elements of the physical environment that impact employee experience – that could be anything from being sat next to a noisy printer to having an uncomfortable workstation. While the 6 Essentials model emphasizes the importance of removing the barriers to well-being created by ‘job conditions’, biophilic design adds a new and positive approach to the area. Rather than simply removing those ‘hygiene’ factors that block individual well-being, it’s clear that biophilic design can positively influence one of the 6 Essential Factors, and consequently be a direct driver of well-being. 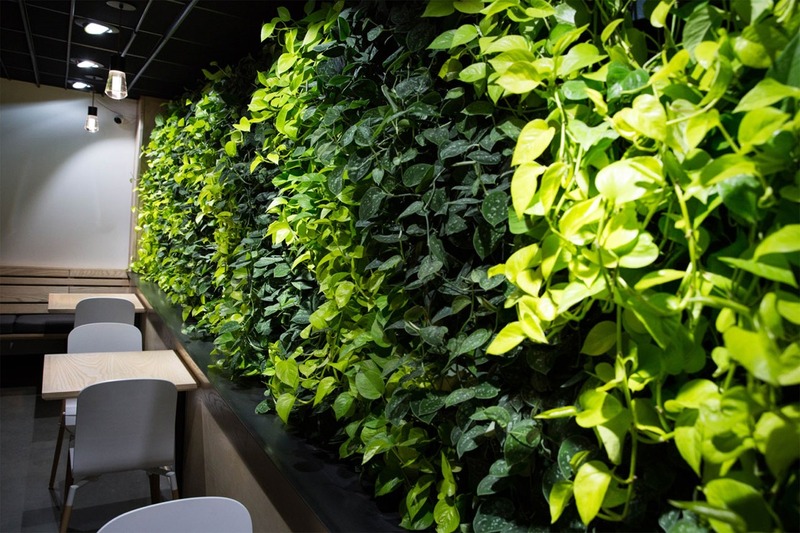 Greenery in the office, such as plants and green walls, was associated with higher levels of creativity.